Have you ever heard someone say “it’s almost impossible to learn Chinese” or “Chinese is too hard, I can’t learn it” ? Chinese is vastly regarded as one of the hardest languages to learn, but the best way to practice is by starting simple conversations! Here are some basic phrases that’ll help you get started! 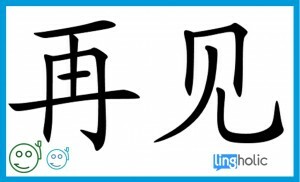 One of the first words people learn to say in Chinese is “你好 (nǐ hǎo)!” This is “hello” in Chinese. 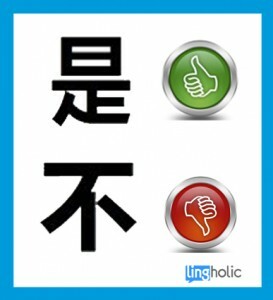 However, did you know that native Chinese speakers rarely use this when talking to people they’ve already met? 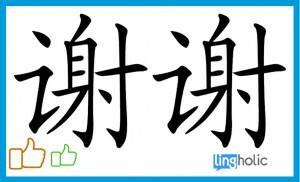 “吃饭了吗(chī fàn le ma)”is also a popular way to greet someone you already know in Chinese, especially among the older generation. It means “have you eaten?” To be clear, this is not an invitation to eat a meal with the person. This phrase stems from when food was scarce in rural China, when asking “have you eaten” was an inquiry to the other person’s wellbeing. The millennial generation in China often uses “哈喽 (hā lóu)” which is a Chinese-translated version of “hello.” Keep in mind that this is very casual lingo, and should not be used in formal settings. “Goodbye” in Chinese is “再见 (zài jiàn).” It literally means “See you again!” You can say this to everyone, even if you don’t plan on seeing them again. Shopkeepers and taxi drivers may use the phrase “慢走 (màn zǒu)” to say goodbye to customers. It translates into “go slowly.” You may wonder why a shopkeeper would ask you to walk slowly! The cultural meaning of “walk slowly” is similar to that of “take care” in English. Walk slowly, and you won’t fall down. If you want to sound even more fluent, you can try saying “你太客气了 (nǐ tài kè qì le)!” This means “You’re too kind!” and can be used when receiving a gift, or when someone treats you to dinner. Translation: Do you have a younger sister? 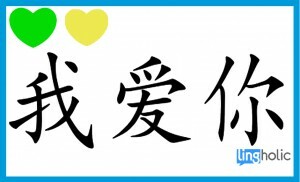 “I love you” in Chinese is “我爱你 (wǒ ài nǐ).” However, this is often seen as a very “strong” display of emotion, and thus not commonly said among native speakers. Chinese people, especially the older generation, often prefer to express their feelings via actions. Even though China often celebrates different holidays than the U.S (such as Dragon Boat Festival and Mid-Autumn Festival) it’s important to know how to wish people “happy holidays!” in Chinese. “Happy New Year” in Chinese is “新年快乐 (xīn nián kuài le).” This phrase can refer to both Chinese New Year and the regular calendar new year. 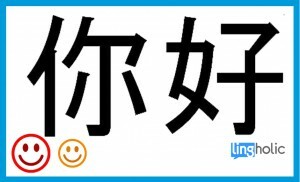 “Happy Birthday” in Chinese is “生日快乐 (shēng rì kuài le)!” Note the same sentence structure is used. You can wish most people happy holidays by using “__快乐!”and filling in the blank with the appropriate holiday.